We have reached the final table of the $1,500 No-Limit Hold 'em event. We had a total of 125 players in today's $1,100 No-Limit Hold 'em Bounty event at the Foxwoods World Poker Finals. With the impending arrive of Hurricane Sandy on the east coast, many businesses are closing their doors temporarily. We wanted to give an update as far as the Foxwoods World Poker Finals are concerned. All events scheduled for the rest of the week are still on. The World Poker Finals will continue as scheduled. If changes are to be made due to weather, we will let you know as soon as it happens here on FoxwoodsPoker.com. 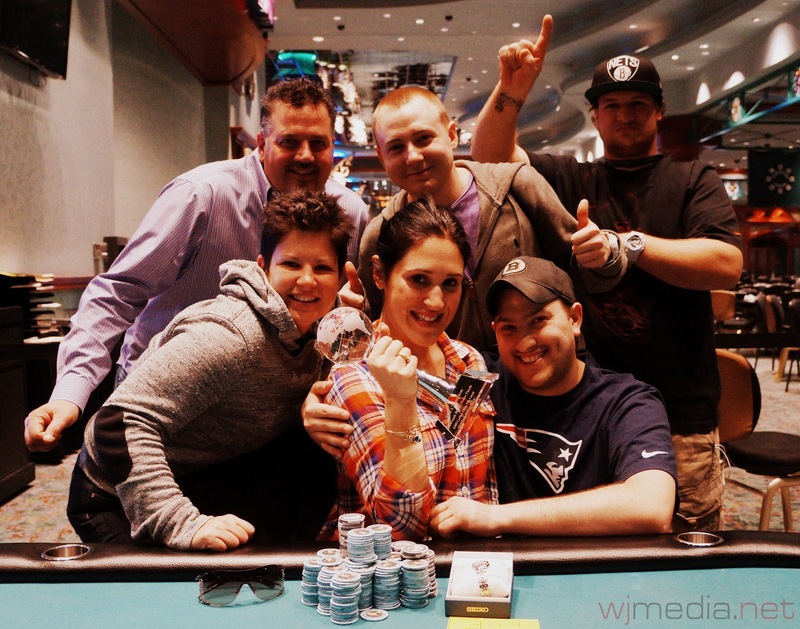 Nicole DeFrancesco, winner of the $300 Ladies event. Congratulations to Nicole DeFrancesco, winner of the $300 Ladies No-Limit Hold 'em event at the 2012 Foxwoods World Poker Finals. 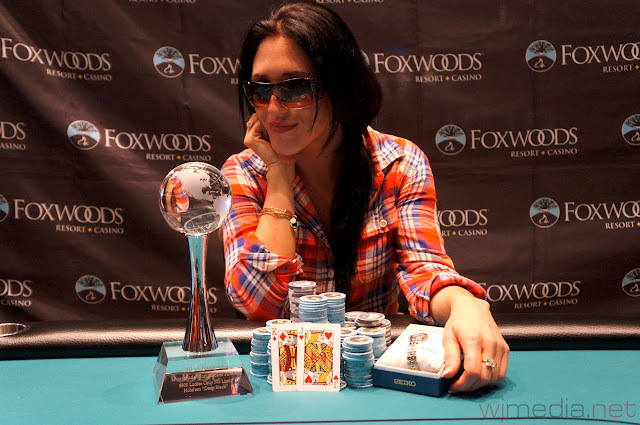 She takes home $12,787 in addition to the World Poker Finals Trophy and watch. Day 2 of the $1,500 No-Limit Hold 'em event is now underway and streaming live. The blinds are currently 1,200-2,400 with a 300 ante. There are 44 players remaining and the average chip stack is 149,300.